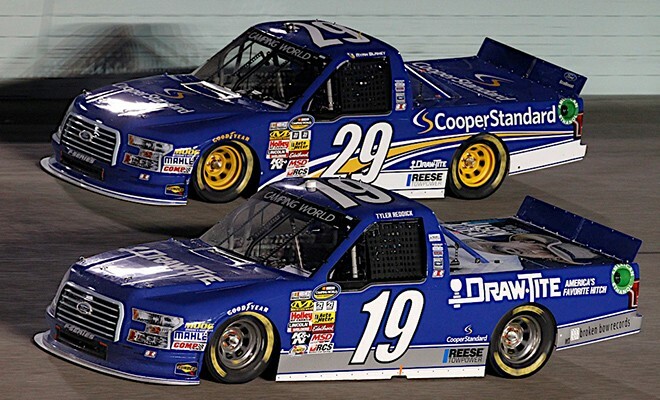 Brad Keselowski announced yesterday that he will close the doors on his successful NASCAR Camping World Truck Series team at season’s end, leaving drivers Chase Briscoe and Austin Cindric without clear options for 2018 and beyond. Speaking to the media today at Bristol Motor Speedway, the 2012 Monster Energy NASCAR Cup Series champion – and 23-time event winner – said that while the decision was difficult, it is part of a larger business plan that could see him return to the sport in the future. 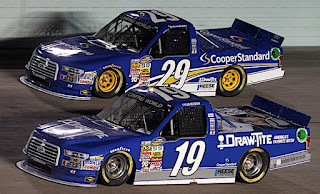 While admitting that he has plans for the current BKR facility, Keselowski cautioned that “we’re not ready to announce anything.” He hinted that his future plans could involve building a new business within the current BKR facility that eventually becomes a race team partner. “It’s an idea, absolutely,” he said. “If you look at all the business owners at this level – and really all three of these levels – they have a sustainable, profitable business outside of motorsports. That’s going to remain the key for any owner to have success. “The reality is, I can only be a race car driver for so long. When that time comes up, my business will have to shut down, because I don’t have a profit center. Having that profit center is what helps you get through the ebbs and flows that every race team has. “I need to have one of those profit centers. That doesn’t mean that I’ll be a Cup owner one day, but it means when the time is right -- if we achieve the goals that I have -- I’ll have the opportunity to make that decision myself and not have it made for me. Keselowski called the process of informing his drivers and employees “very difficult,” adding “I feel like we’ll be able to find a good home for probably 75 percent of the group. Whether that’s new business opportunities, Team Penske or different things… I still need people within the fold that I have. I feel really bad for the 25 percent that I’m not going to be able to find a spot for, but I’m wishing them the best and thankful for their help over the years. Despite his unexpected withdrawal and that of Red Horse Racing just a few weeks ago, Keselowski said he believes the NCWTS is still strong. “The Truck Series has been around a long time,” he said. “It’s going to be around a lot longer than me, so I’m not so self-centered to think that series is based solely on my team and participation. It’ll be around. It’ll be all right. I don’t know where the future is going to take me in my life. I know that I’m trying to be positioned to have as many opportunities as possible to kind of control what (my future) might be, and this is a necessary step business-wise to have those opportunities. 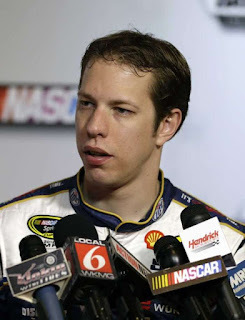 We hope this plan succeeds for Keselowski. The Trucks along with Xfinity, the K&N Series, etc. are excellent and necessary adjuncts to the Cup series. You have to appreciate the fact that Brad isn't "Busch league" enough to think his pulling out of the series will kill the series. I don't think it's a coincidence that Kezlowski shut the doors shortly after resigning with Penske. He obviously waited until the last minute to resign cause he was hoping for a big money offer from Hendrick, which never came. There's no way he's going to hang on to that raceshop, paying taxes, upkeep, etc on a building that produced nothing makes no sense. I you read the story, you already know that he is keeping the race shop. Brad is tired of losing money in the Truck series and Ford isn't helping him any either with no factory support. And Ford really isn't doing much for Brad in the Xfinity series either, I think there was like 3 Ford Mustangs even running the last Xfinity race, WOW! Brad really wanted to move to Hendricks and upset he didn't get the #88 or #5 Hendricks ride since that is the only way he would be able to truly compete with his long time nemesis Kyle Busch! When Brad sees Kyle sweeping a 3 race event at Bristol (for a 2nd time), it just eats away at him that he doesn't have the same opportunities in a Ford. But, like I said before, Brad and Kyle remind me of Dale Sr. and Rusty Wallace! Brad will be ok even if it is in a Ford! Kyle will end up being the Sr. and Brad will end up being the Rusty! 1. It is Hendrick, not Hendricks. 2. Brad doesn't have an Xfinity Series team for Ford to help. Never has. 3. Brad never discussed the #88 or #5 rides with anyone. The only organization he negotiated with was Team Penske. 4. Both Brad and Kyle have the same numbers of championships. One. one title in 13 years -- he'll be the oldest driver in the history of NASCAR. Other than that, you're right on the money! To the commenter that stated that the Xfinity and truck series are necessary, I completely disagree. In my opinion, they were hoped to be additional revenue streams for NASCAR. Even as bad off as they are, they probably still are with the television packages. If they went away, the farm system would again become the local short tracks like it used to be. That would not be a bad thing in my opinion. Let us wake up and smell the java, the costs to run at any level in NASCAR have gotten completely out of control, and in my mind, mostly unnecessary. Do teams really need private jets, and 2 or 3 haulers? No, but they justified it to sponsors who they have been able to milk huge sums of money from in the past. Simple things can be done to control costs at all levels. Stick and ball sports have salary caps. I am not sure that will work in our sport. But, stick and ball teams also have limits on how many players they can have. We can do something similar. Limit the teams to a certain number of cars per season. Serialize them, and mark them with a secret marking that only NASCAR knows what and where it is. Same with engines and shock absorbers. Crew size can be limited as well. No slaps on the wrist for breaking these rules. Suspend the entire team if they violate the car count or crew size for a race. That would almost assuredly keep them from doing it. The problem with this of course is that once the sponsors see they can actually put on a similar race with cars brought in on open trailers pulled by pickup trucks, the days of owners and drivers getting wealthy will end.